Beads of sweat – that’s surely what the eight bidders were wiping away in the heated Magnificent Jewels and Jadeite auction at Sotheby’s Hong Kong the other night. At least seven of them likely wiped away tears as well, after having lost to winning bidder, The Cartier Collection. The beads they were sweating over? The Hutton-Mdivani necklace, called the greatest jadeite bead necklace in the world. I should hope so – because it involved a lot of green – HK$214 million / US$27.44 million / CAD$30 million of it, if we are counting abacus beads. 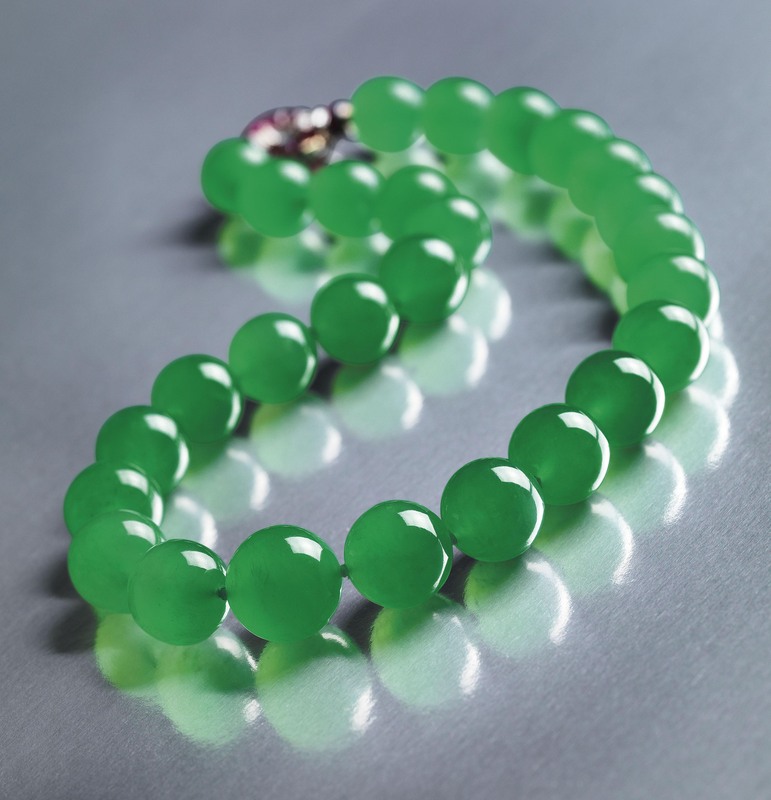 That’s a world auction record for jadeite jewellery and for a Cartier jewel. It’s mesmerizing in more ways than one, no? A couple of other records were smashed on the same night…for nothing major, just a couple of wee ruby and diamond baubles. 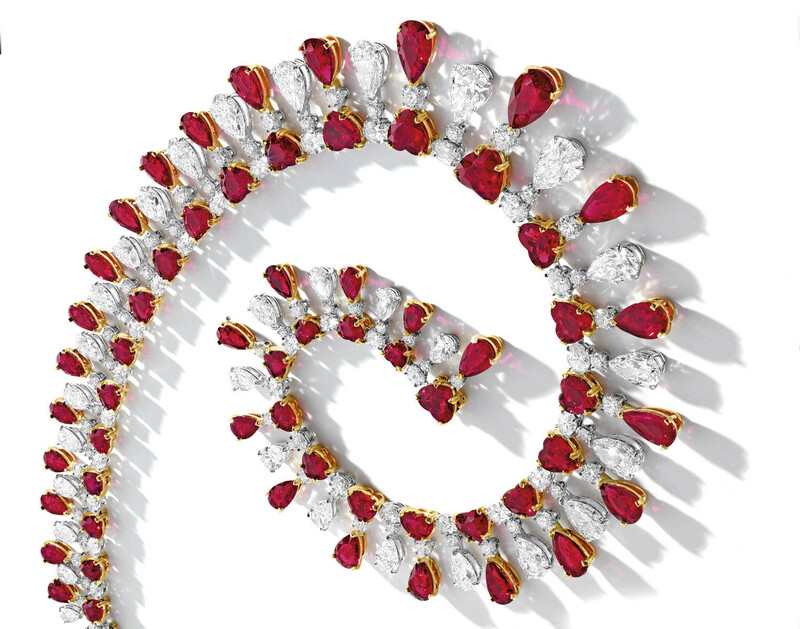 A 29.6 carat ruby set by Cartier with a smattering of diamonds will adorn someone’s hand for a ruby-record breaking HK$57,240,000 / USD $7.34 million. Hand it to the bidder for getting a bargoon, compared to the beads above. 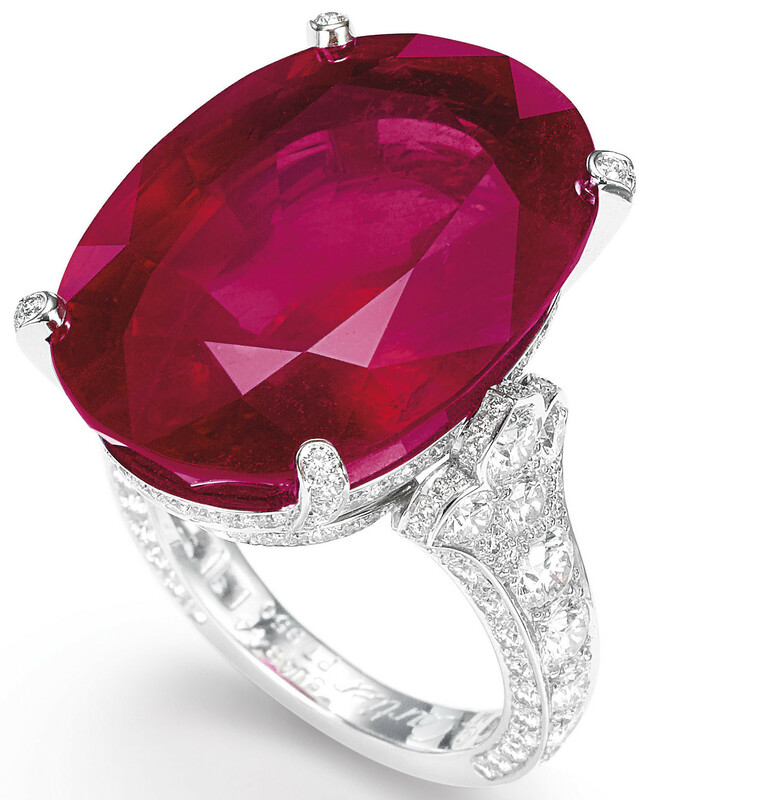 Have I mentioned how much I love the hue of a Burmese ruby lately? I haven’t? The love started in Jaipur at The Gem Palace (natch). If your heart beats for thirty heart-shaped and thirty pear-shaped rubies, then it will break over the fact that this 104.5 carat (+ almost 60-carat of diamonds!) collar decoration was also sold that night, for HK$77,400,000 / USD $9.92 million. I know you’re not crying – the glare from the gems just makes your eyes tear. When it comes to jewellery, my dears, reactions such as these are well, only natural. All of this talk of jadeite and precious gems is putting me in a Forbidden Empire State of Mind… That string of jadeite beads also reminds me of these baubles, including my favourite Eina Ahluwalia piece. Deep breaths. All images courtesy of Sotheby's.